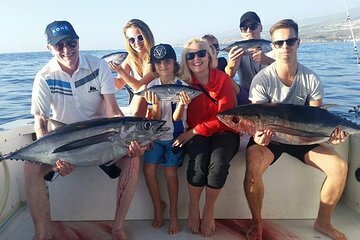 Hire your own private charter and enjoy a full day of fishing along the Costa Adeje in Spain. Board your motor yacht with your group of up to seven guests and sail across the azure waters in search of the perfect spot. Enjoy an open bar and lunch while sailing on a fully-equipped boat as you search for the marlin and tuna that roam the area.